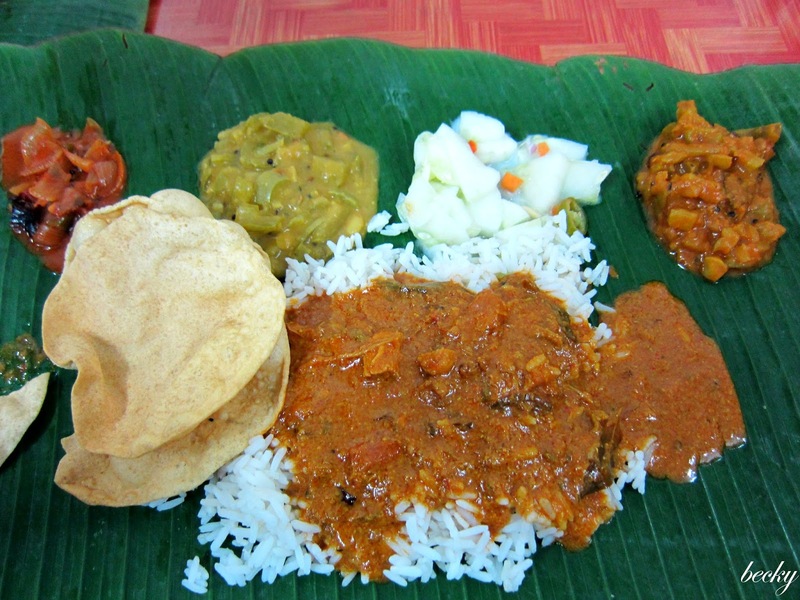 I have huge love for Indian cuisine, as I really enjoy the spices; and when my colleague mentioned about this place in Petaling Jaya Old Town, I knew that I would definitely have to make a trip there myself. It was a challenge for me to find Sri Ganapathi Mess. 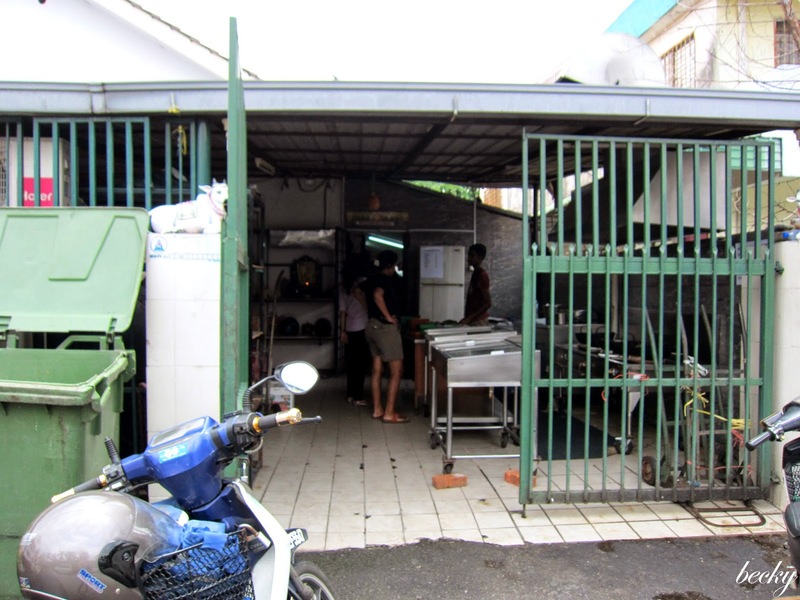 It is located along row of houses, exact opposite of Sekolah Kebangsaan Petaling Jaya. It definitely will be a challenge to locate the eatery. However, if you spot the school, you can be sure that you are already nearby. 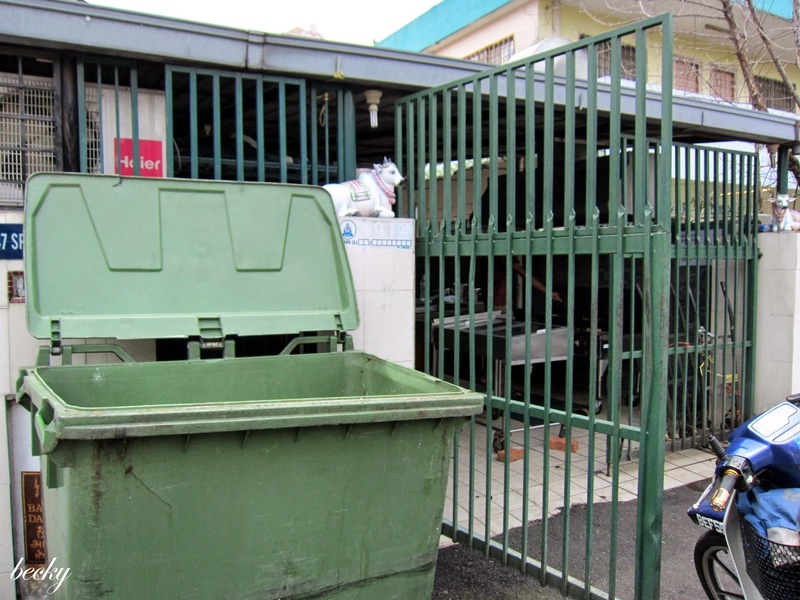 The eatery is at a corner lot, and with a big green bin at the side. We were lucky to arrive there right before lunch, as the place does have some parking issues. The entrance does look like a back door, but it really is THE ENTRANCE. 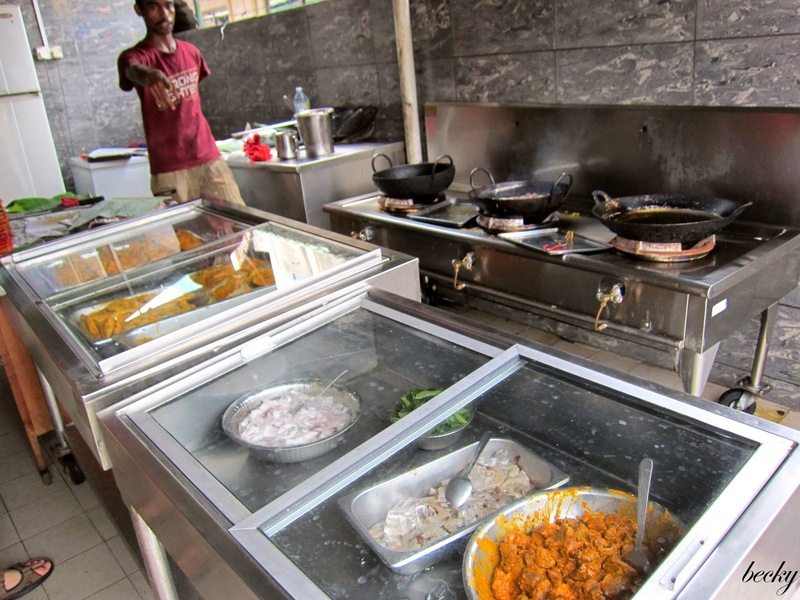 The moment you step in, you'll come to their "fried kitchen". 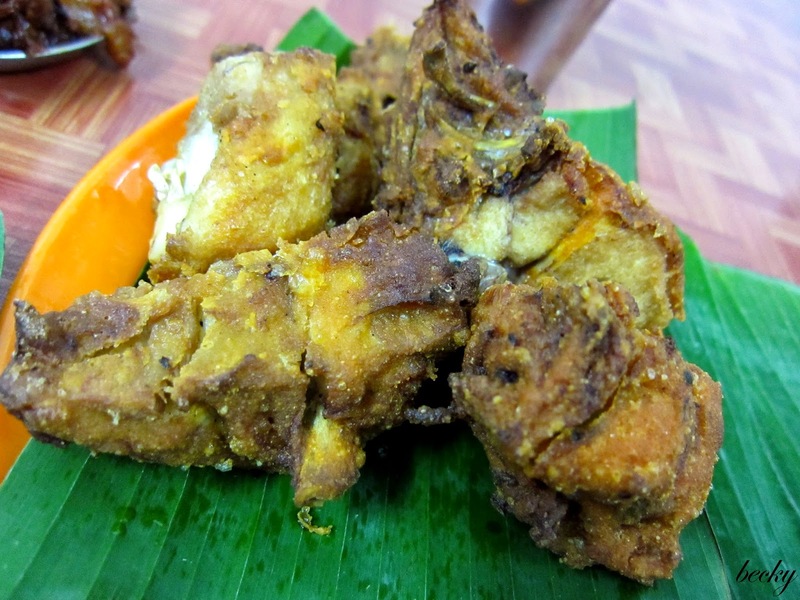 You can choose from the usual fried squid, chicken, or fish; or alternatively, you can try their friend lamb. I have yet to try their fried lamb, but would definitely give it a go the next time I'm there. The eatery was converted from a house, so you can expect to see a layout like a living house - with rooms but filled with tables and chairs for patrons. They have 2 type of rice for you to choose from - Par Boil Rice or white rice. The Pappadams I had were not as crispy, but no complaints on this. 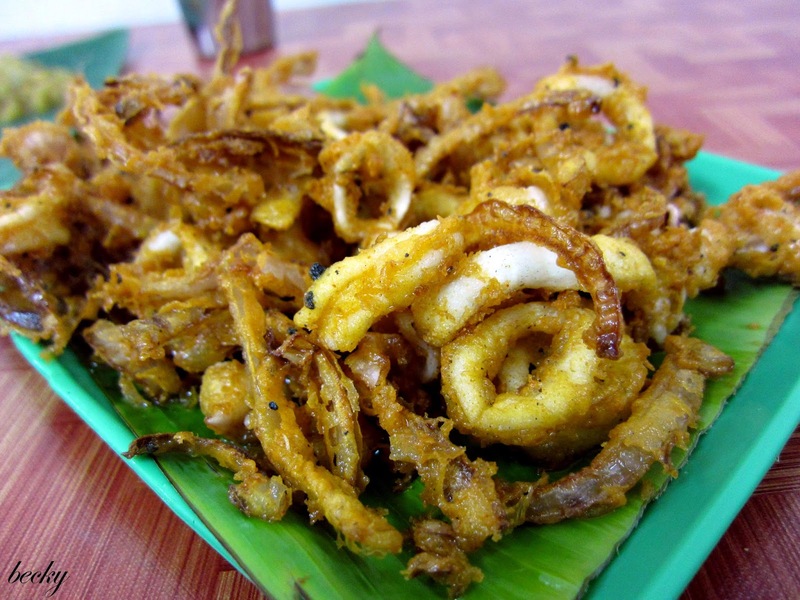 I must have fried squid, whenever I go for banana leaf rice. The squid were sliced into proper thickness and wasn't over-fried. Didn't have much of the chicken so I couldn't really comment on it; but on a positive note - they did not over-fry their chicken too. 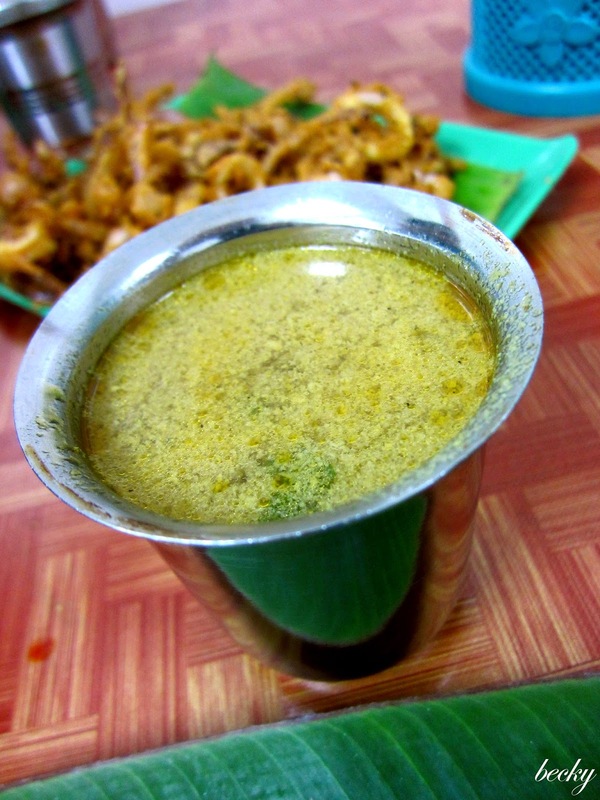 I love rasam, and it's a must for me to have it every time I go for banana leaf rice! I read about their crab rasam on one of the blog, and decided that I must try it out. It was served piping hot, and delicious! I finished every drop of it, and my brother absolutely love this too. Overall, it is a really nice place to enjoy a good meal - minus the parking issues. The lunch crowds were pouring when we were about to leave, so try to be there before lunch to avoid parking and find a place to sit. 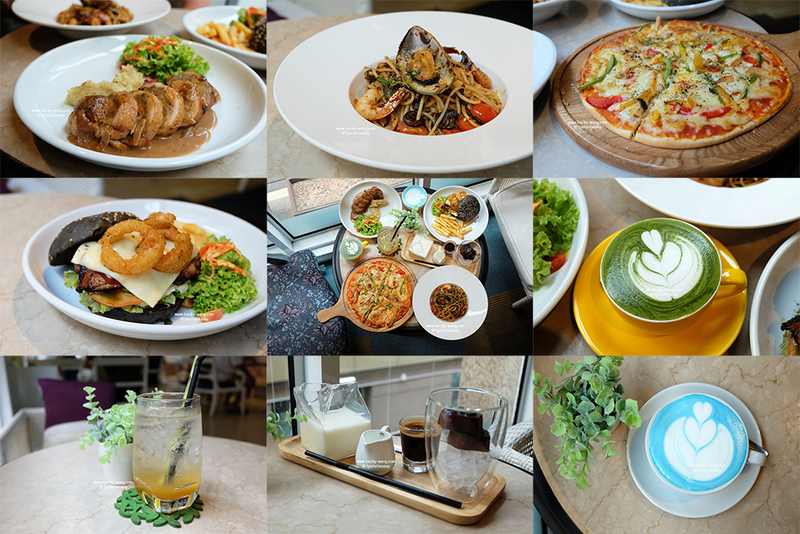 Our total meal came to RM51 for 3 person.